My good buddy likes this, and I’ve never had it, so I have to make that right, and tell him how good or bad his taste is. Fat and chewy … . If that doesn’t tempt you, then frankly you can’t be tempted. 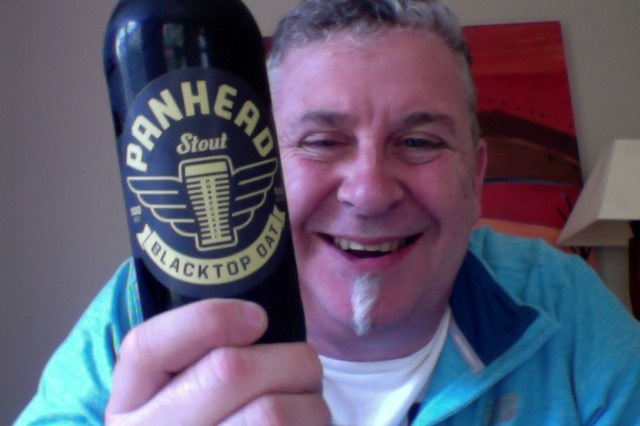 Panhead Blacktop is brewed by ‘big beer’ owned Panhead Custom Ales (Lion Breweries – NZ) in the Style: Stout they are in Upper Hutt, Wellington, New Zealand. To be fair they aren’t the only ones, and it’s worked out well for the other one that I know of. So that’s that. As self-confessed bogans we have a natural attraction to black, preferably matte, so Blacktop Oatmeal is close to our hearts. The key to creating a silky death metal monster like this is the caramelised Golden Naked Oats we’ve built it around. Sophisticates will detect the chocolate and coffee notes of creamy tiramisu. The rest of us will note that it matches our jeans. Pour is deep black and the head is big, energetic, dark mocha, persistent, big and creamy too. Aroma in the glass is mostly, for me, a milky chocolate. That’s a pretty rich tasting beer, but there is a significant amount of burnt/charcoal edge to it. Mildly bitter, almost not enough, and a calm and placid finish. I find myself having no pain at drinking this at what is a fair old clip. The bitterness burntness is appealing on some base level and you’re sucked into taking more sips than you need to enjoy this. I have the big bottle, they make a six pack, which I’ve suddenly gotten an urge to buy. A beer that is middle of the road, no wild flavours or things to catch you unaware, nothing to shock you or make you frown, a very clever bit of mass appeal craft bearing this one. The pdubyah-o-meter rates this as 8 of its things from the thing. Solid beer this one. 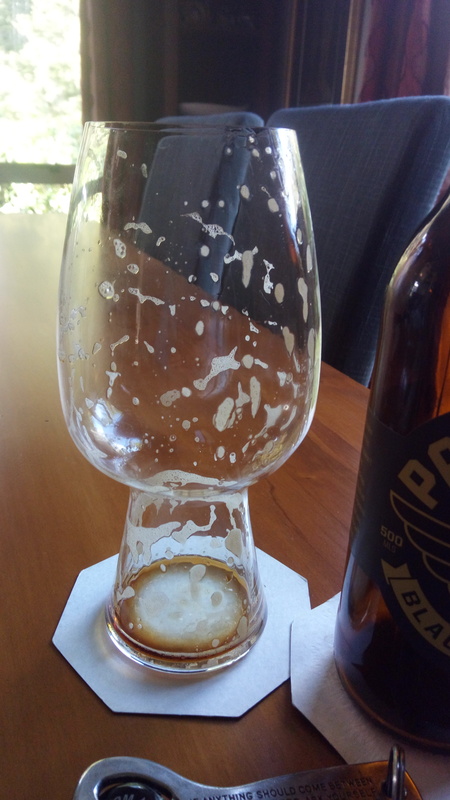 It is unusually burnt, which I think is its thing, and that fits well with the profile that this has, ending in a beer that is pretty nice to drink and entertains you through the whole thing. Where did I get it? It is everywhere good beer is. Am I enjoying it? I am, it is nice to drink without being way over the top, a mild mannered stout. Would I have another? I know they make 6 packs, so I’d be keen. Would I share with a friend on a porch and set the world to rights? I think you’d be enjoying this, particularly as there are many options to enjoy it. This is a middle of the road easy going drink that has some unusual things about it that make it memorable if not spectacular. I have to say this is an outstanding album, I mowed the lawns and washed the windows today whilst listening, it’s a bit of me . he Veils are a London-based indie/alternative band fronted by lead singer and songwriter Finn Andrews. 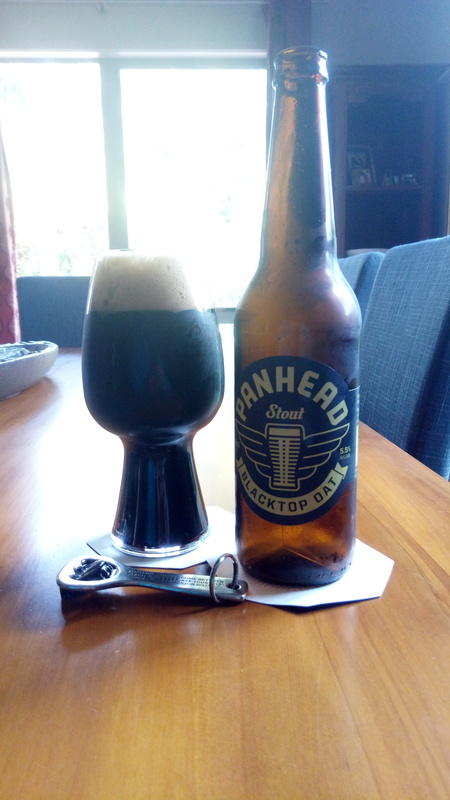 This entry was posted on October 16, 2016 by Philip Walter in Beer, Beer of New Zealand, Beer Review, Craft Beer, Critic, Justsaying, Panhead, Stout and tagged Alcohol by volume, Axolotl, Blacktop DAT, craft beer, Panhead Blacktop, Panhead Custom Ales, The Veils.